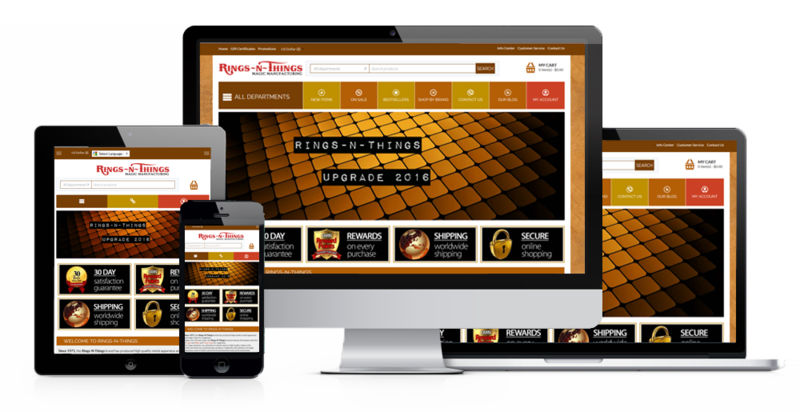 In order to provide a more compatible shopping experience for our mobile customers, I've upgraded Rings-N-Things website to a Responsive design for easier browsing on mobile phones and tablets like the iPhone and iPad Safari web browsers. Now, when you visit RNT2.com on your phone or tablet, our website will resize itself automatically to adjust to your smaller screen size. Images are easier to view, menus collapse so they are not in the way, forms and navigation are touchscreen technology compatible: just tap a down arrow to expand a menu, tap again to collapse the menu. 100% secure shopping with 256 bit encryption site wide.